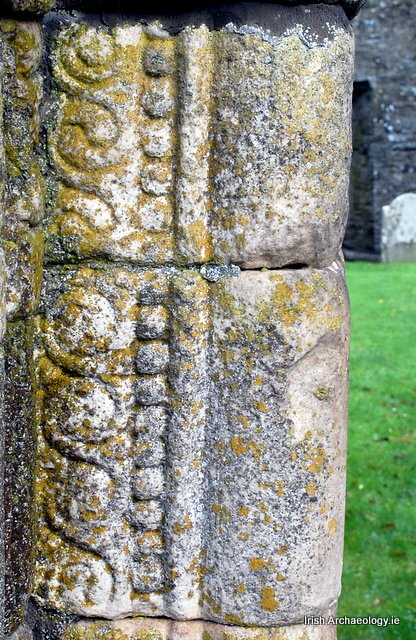 Located close to the border with Co. Carlow, the small medieval church at Killeshin, Co. Laois contains a remarkable piece of Romanesque architecture. 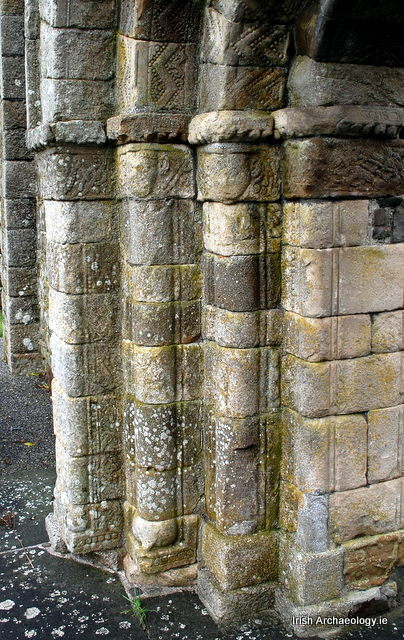 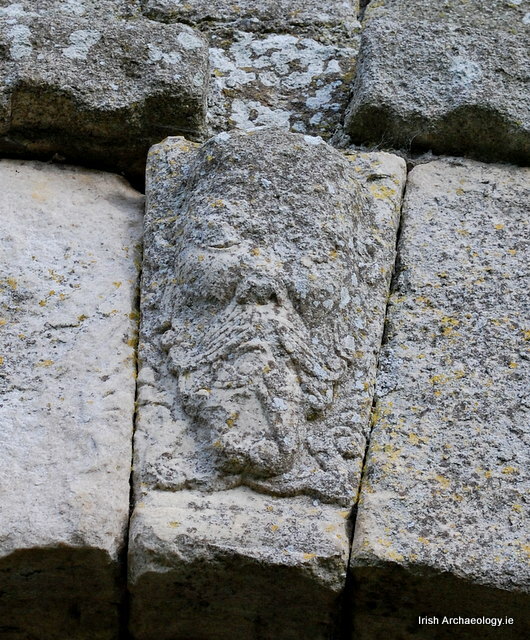 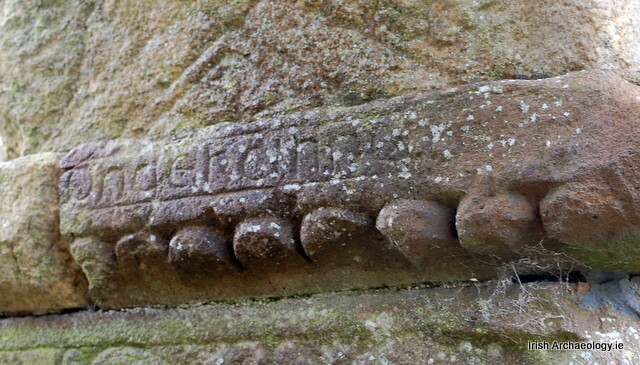 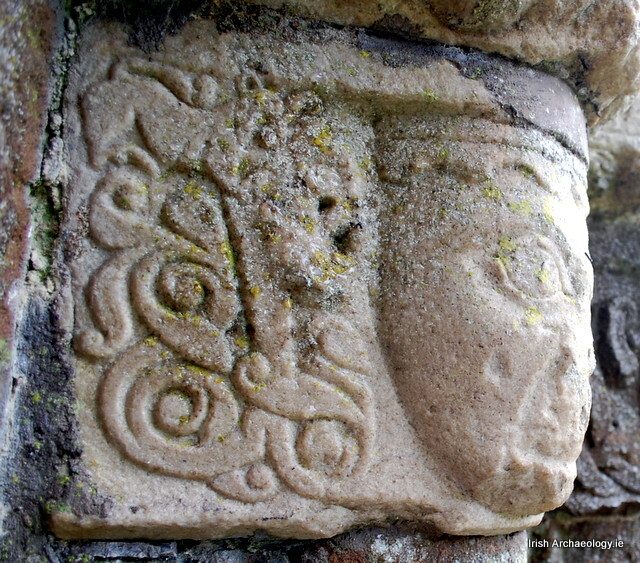 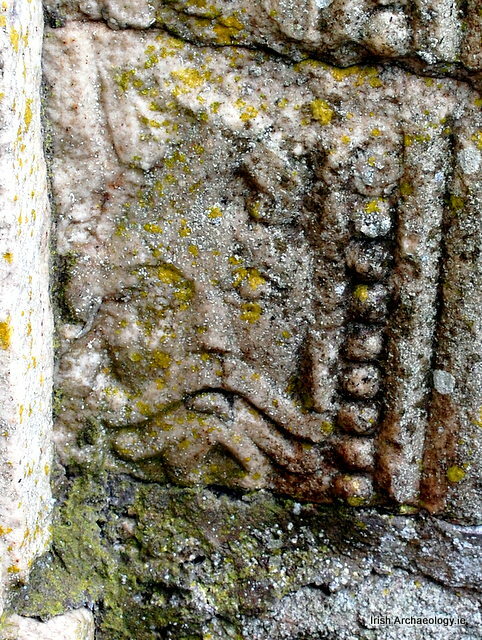 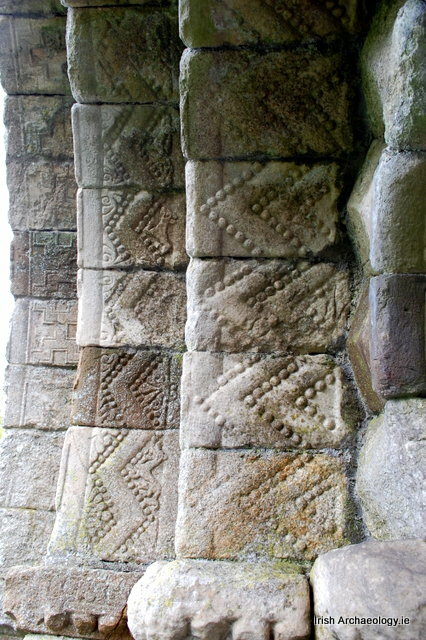 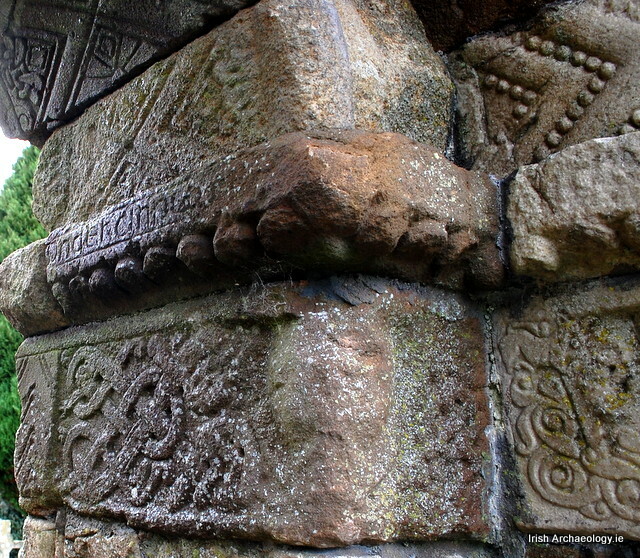 It consists of an elaborately decorated doorway in the western gable wall of the ruined church. 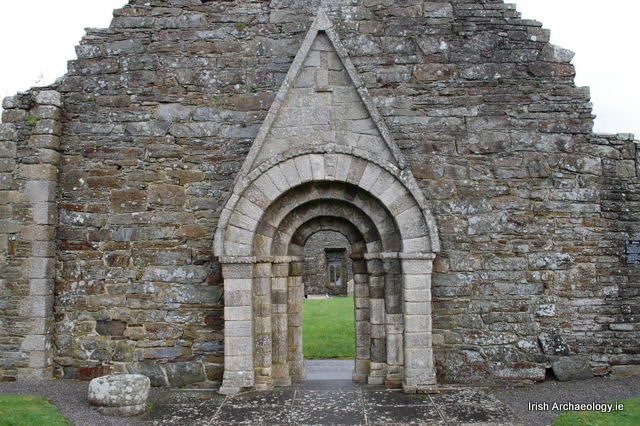 Most likely erected between 1150 and 1160 AD, an inscription on the doorway reads ‘Orait do Diarmait Ri Lagen‘ or ‘a prayer for Diarmait, king of Leinster’. 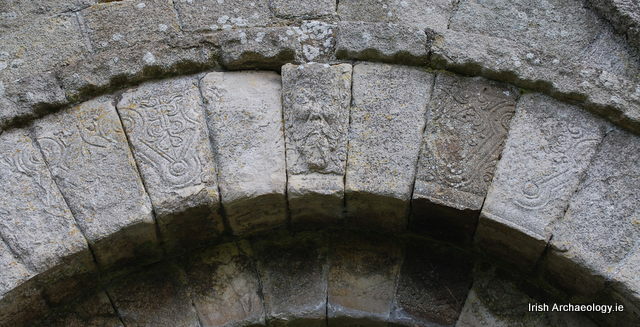 This suggests that Diarmait Mac Murchada, a somewhat controversial figure in Irish history, may have commissioned the entrance. 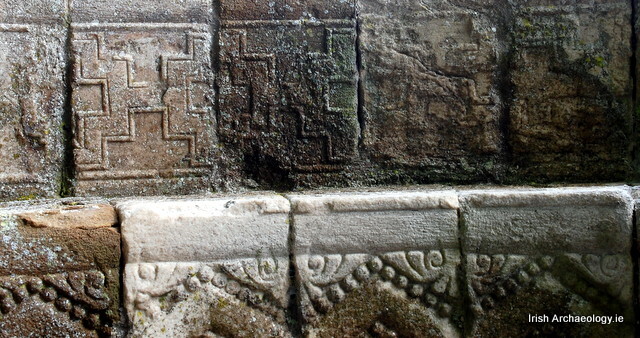 Although worn in places, the door still contains a wide range of decorative motifs, including complex interlace, geometric and foliate designs as well human and animal figures. 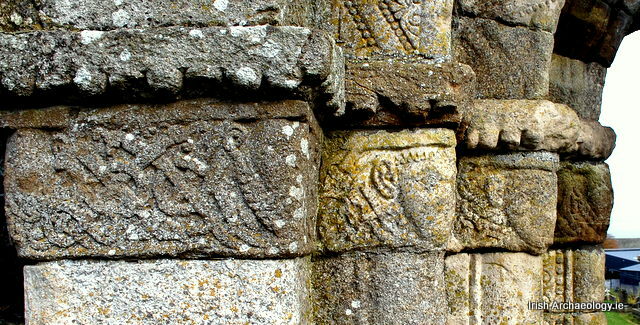 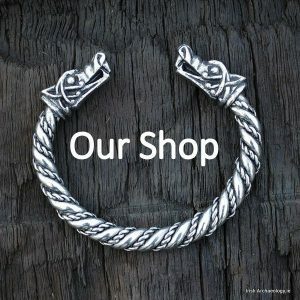 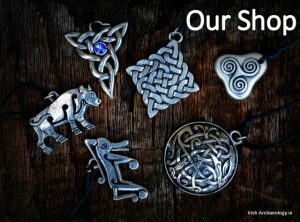 You can garner a flavour of some these wonderfully intricate carvings in the images below.